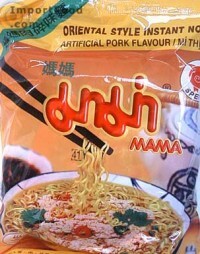 This is a tasty plain pork noodles from Mama, known in Thai as "moo sap". 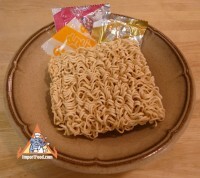 Place noodles in a bowl, add 1.5 cups water, cover and wait three minutes, serve. 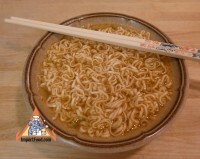 Ingredients: wheat flour, palm oil, salt, sugar, cmc, garlic, pepper, msg, dried leek, artificial pork flavor. 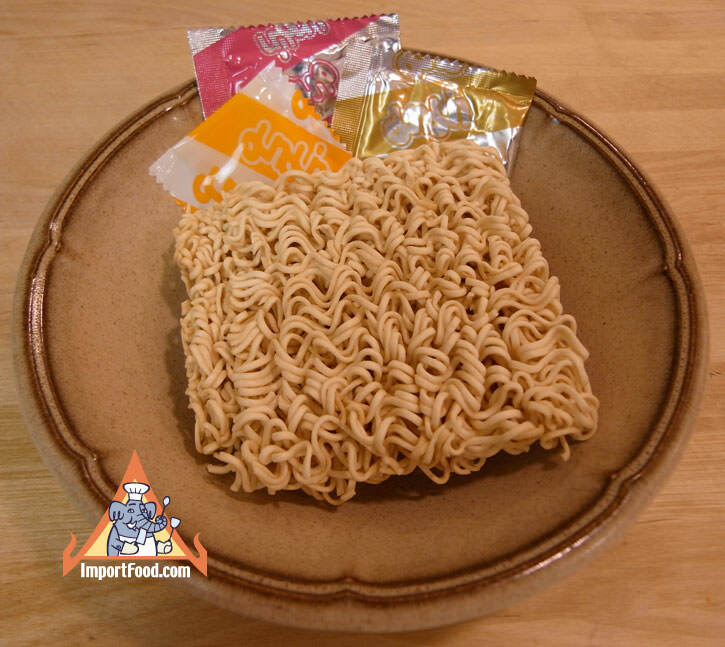 Use Mama pork to make a more substantial meal--see our recipe for Poor Man's Gourmet.